On the third day of its questioning, the Enforcement Directorate (ED) on Sunday interrogated former ICICI Bank CEO and MD Chanda Kochhar and summoned Matrix Fertiliser Chairman Nishant Kanodia. The ED had also quizzed Chanda, her husband Deepak Kochhar, and Videocon Chairman Venugopal Dhoot in the Rs 3,250 crore ‘quid pro quo’ case on Saturday. The probe agency claims Deepak Kochhar’s NuPower Renewables received Rs 64 crore in 2010 via a maze of shell companies from Venugopal Dhoot, who in turn got loans worth over Rs 1,575 crore from ICICI Bank between 2009 and 2011. In 2010 alone, NuPower received Rs 325 crore from Firstland Holdings, a Mauritius-based firm owned by Nishant Kanodia, who is also the son-in-law of Ravi Ruia, the co-founder and Chairman of Essar Group. ICICI Bank under Chanda Kochhar’s leadership had also given loans worth $530 million to Essar Steel Minnesota LLC in 2010, which, like Dhoot-led Videocon, turned into a non-performing asset (NPA). 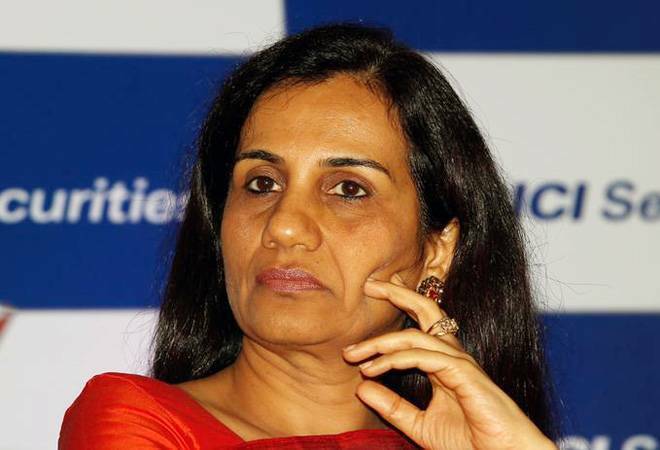 On Friday morning, the Enforcement Directorate (ED) carried out raids at the houses and offices of Chanda Kochhar. A team of sleuths, assisted by the police, carried out searches at their five offices and residential premises in Mumbai and other locations. Apart from Chanda, Deepak, and Dhoot, the ED also grilled Mahesh Pugali, a close associate of Dhoot and the relative of Kochhars. The ED pertains to an FIR lodged by the Central Bureau of Investigation (CBI) in January naming Chanda Kochhar as accused in the Rs 3,250 crore ICICI Bank-Videocon loan case. The case against these three, including his companies Videocon International Electronics Ltd (VIEL) and Videocon Industries Limited (VIL), was registered under different sections of the Indian Penal Code and PC Act, 1988. Supreme Energy, a company founded by Dhoot, and Nupower Renewables, a company controlled by Deepak Kochhar, were also named in the FIR. During the CBI raids last month, several documents related to the investigation of the case were seized by the CBI. During Chanda’s tenure as the CEO, six high-value loans were issued to various Videocon companies from June 2009 to October 2011. The loans worth Rs 1,575 crore given by ICICI Bank to the Videocon group later turned non-performing assets (NPA), said the CBI. It is alleged that Dhoot invested in Deepak Kochhar’s company Nupower through his firm Supreme Energy a quid pro quo to loans cleared by ICICI Bank. The ownership of Nupower and Supreme Energy changed hands through a complex web of shared transactions between Deepak Kochhar and Dhoot, the CBI alleged.